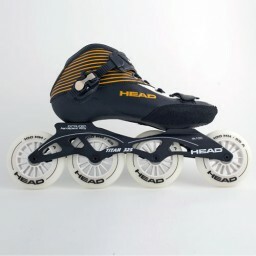 ideal for beginners and tour skating, with sturdy shell boot and four 100mm wheels. cockpit: Hard composite shell. closure: Laces, single Velcro strap and a mogul. frame: Extruded aluminum Aerospace 4x100mm renewed Titan 325 frame. Wheels and bearings: 100mm 85A wheels and ILQ 9 bearings.